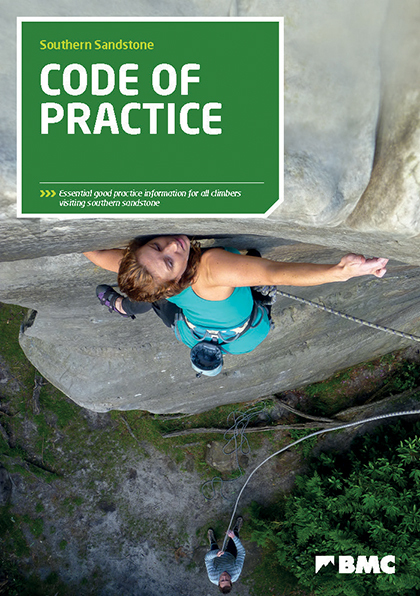 The revised code of practice came into printed circulation on the 17th May 2017. 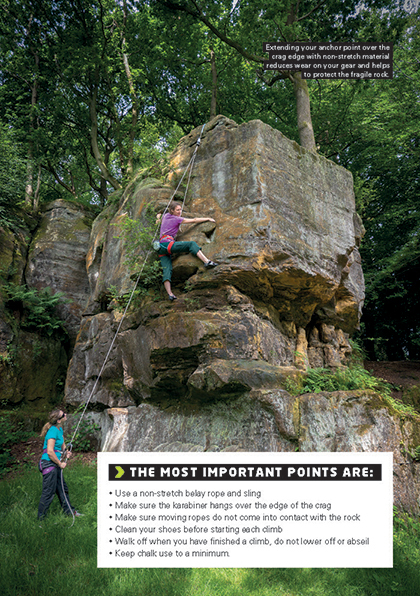 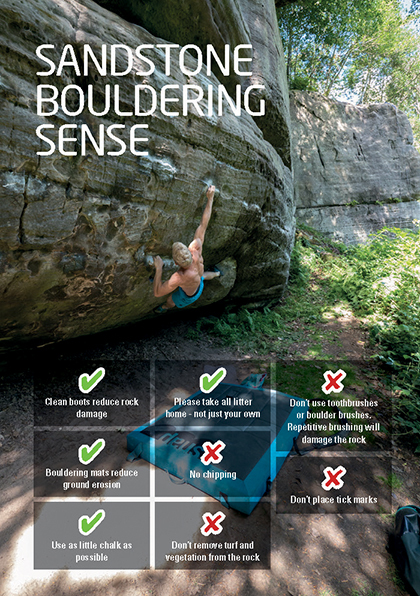 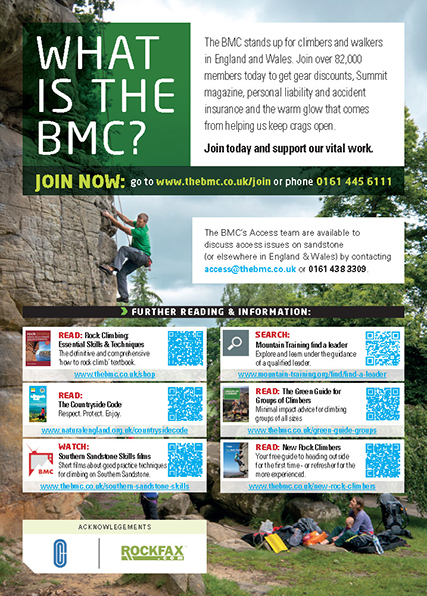 Copies are available at most climbing walls and shops in the south-east, as well at Bowles and Harrison's Rocks. 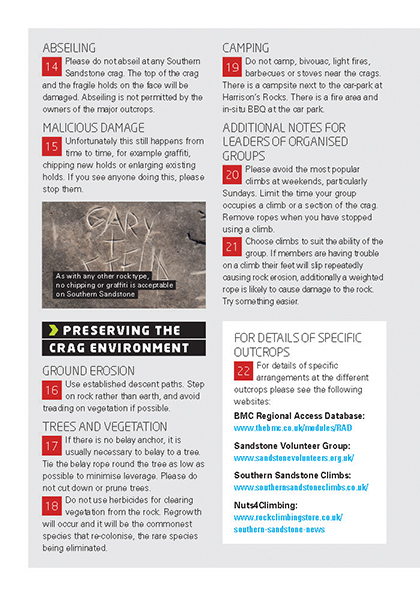 If you are unable to get hold of a printed copy you can download a copy here: BMC Southern Sandstone Code Of Practice. 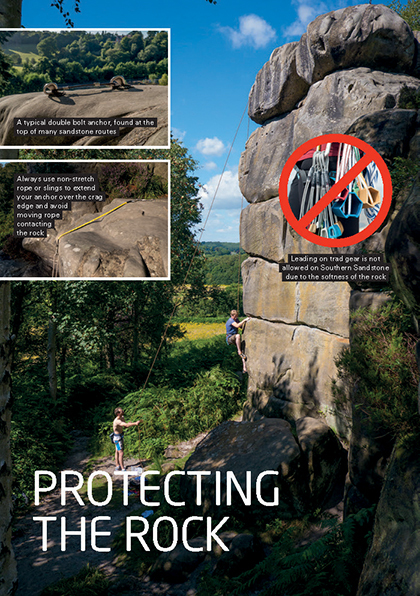 The code of practice is all about protecting the rock. 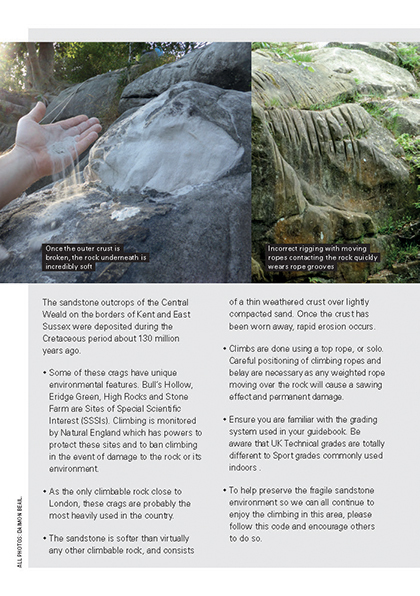 As the rock is so soft, it is essential the preserve the thin outer layer and to reduce erosion as much as possible. 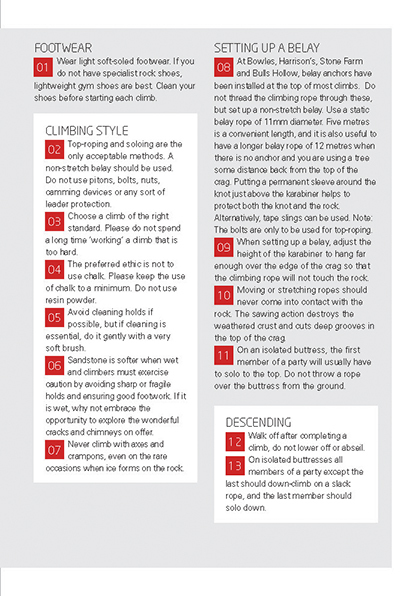 Moving ropes cut into the rock, so please set-up your ropes correctly.